That was the slogan on my first qigong brochure back in 2005. I was new to Florida, and relatively new to teaching qigong. I had taught karate for years, but not much qigong. Nevertheless, I was confident in my ability to help students feel the qi. So I put my money where my mouth was. And believe me — money was a big deal back then because I was a poor graduate student at acupuncture college! I came up with the “No Qi, No Fee” slogan, and I promised prospective students that I would give them their money back if they didn’t feel qi by the end of my 12-week intro course. No one ever asked for a refund. I get tons of emails from sincere seekers who have been practicing qigong or tai chi for years, but still can’t feel much in the way of qi. Obviously, this points to a larger problem in the world of qigong and tai chi. I once met a tai chi teacher who told me that it took him 30 years to feel the qi. At the time, I had only been practicing qigong for about 5 years. But I was already feeling plenty of qi. At first, I thought maybe he was simply feeling deeper qi sensations after 30 years. So I pressed him for details. Nope. What he described was pretty much what I started feeling after 3 years of practice. What took him 30 years to feel only took me 3. In other words, I was able to feel the qi 10x faster than him. For a while, I let this experience boost my ego. I figured I was just special. A prodigy. You know, like Luke Skywalker. It turns out I’m not a prodigy, nor do I have an unusually high midichlorian count. Over the years, I’ve taught not just a few, but dozens and dozens of students with 10+ years of prior qigong experience — all of whom told me they couldn’t feel the qi. In virtually every case, those students were able to feel the qi after just a few months of practicing my method. It quickly became clear that the problem wasn’t the student. The problem was the method. I now believe that anyone can feel the qi. For example, I have specific way that I teach qigong. I teach certain exercises in a certain order. I teach a highly-specific practice routine. I tell my students what rules to follow (and which ones to ignore). I tell my students how often to practice. That’s a method, and a good one at that. If you practice a good method like mine for 3 months, then you’ll feel qi. In the final analysis, I’m a teacher. I make all of my decisions based on one thing: What works best for my students? If something works, then I use it. If something doesn’t work, then I discard it. I’ve been making adjustments for the betterment of my students for well over a decade. That’s a big reason why I think my method works so well at helping students feel the qi. I teach a rare technique called Flowing Breeze Swaying Willow, which is amazingly useful at developing sensitivity to qi. I teach my students how to enter into a Zen state of mind, and also how to smile from the heart. I know what blocks students from feeling qi, and help them to overcome it. I teach a highly specific practice routine that is amazingly efficient. Other masters may have different methods for helping students to feel the qi. This is my method, and it works for me and my students. Feeling strong sensations of qi isn’t everything. You can get results and still not feel much in the way of qi. Actually, if you are getting results, then that counts as feeling the qi. Getting results is absolutely a manifestation of feeling the qi. But in addition to getting results, you should be able to sense the qi. Lately, I’ve been writing about the 12 Dimensions of Qi Mastery. If you haven’t yet discovered the qi, if you can’t feel it, then the other dimensions won’t make much sense. So for your longterm development and understanding of qigong, it’s incredibly helpful to be able to feel qi. You don’t have to travel to Asia. You don’t have to present customary gifts to a traditional master. You don’t have to be accepted as an inner-chamber disciple. I believe that everyone in the world should have the opportunity to fall in love with qigong and tai chi — no matter where they live. I created Qi School, my online training site, because I am a teacher, and I want you to get the training you need to feel your qi. 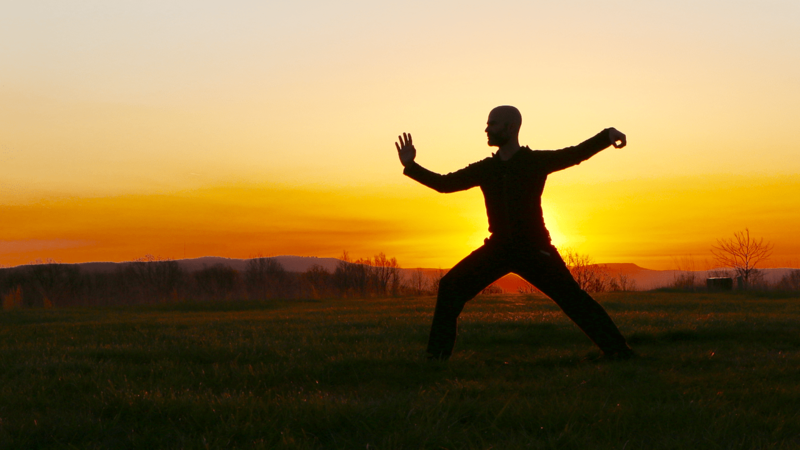 If you want to learn my method of qigong (and tai chi), if you want to feel the qi sooner rather than later, then check out my online courses. Click here to see my online courses. I practice your methods and feel qi immediately but it gives me a lower back pain. Please help! Hi Tjameya. I’m glad you can feel qi, but I’m sorry about your back pain. I know what that feels like! Can you be more specific? Which workshop of mine did you take, and when? Are you practicing the 5-Phase Routine, including Flowing Breeze Swaying Willow? How often? What qigong techniques are you using for Phase 2? Sifu Anthony, it is my experience that so many people doing qigong are always, like I, looking for a more effective qigong method to try. So if in your promotion of the new qigong course you can explain why people would get something from your method that they might not be getting from their current qigong methods, that would be a good reason to try your course. I personally do not learn any new qigong method unless my medical clairvoyant tests it to tell me what he sees that it will do for me. I would be glad to have him test your new course when it is finished and you have a name for it. I think I read that you are considering calling it Zen Qigong. That sounds very appealing. Take your time in creating your masterpiece, perfect it. I was telling an American qigong researcher what I already told you, that after 10 years of qigong and trying over 30 different styles, I can still only feel qi in my hands and at times in my third eye, but never in the meridians, etc. He replied that something must be out of balance in my autonomic nervous system and his method is unique since it teaches you how to control the autonomic nervous system to find the aortic pulse in the abdomen and then bring it up the body and later bring this pulse to anywhere in body needing healing. He said the highest authorities of qigong in China support his method and that the pulse is known by certain Chinese but they do not want to talk about it. His method has recently been renamed the Pulsatile Response. Research has been conducted on it University of Virginia.
. Some people get warmth and tingling with just a few breaths. (That’s how I learned.) Love your writing! Please keep those cards and letters coming! When I learned chi kung I fortunately could feel the chi flow in my hands from the first time I attempted the routine that the group was doing which consisted of simple Tai Chi Chun movements from Justin Stone’s method. A few months later I was taught Spring Forest Qigong by Master Chunyi Lin himself I felt it strongly in my hands since Spring Forest contains the Open and Close movement which I call playing the accordion. I think whether someone feels the chi or not and where they feel it depends on their energy blocks and the level of consciousness of their soul. For example, after 10 years of chi kung multiple times a day, every day, I can still only feel chi in my hands and at times in my third eye. However, my wife, never exposed to any of the energy arts and not never having meditated, felt chi flow in various meridians the first time she tried chi kung. Since then, regardless of which chi kung method she tries, she knows which meridians and areas of the body the chi is going to. So my personal belief is that how well we feel chi has to do with current energy blocks and the energy arts that the soul has done in the past. I have done enough different chi kung methods over the years to realize that it is not the method of chi kung that determines how much we feel the chi, rather it mainly depends on the condition of the energy bodies and the nervous system of the individual. And for those whose constitution does not feel chi at all, I would suggest they try Zhan Zhaung. It would be hard for me to believe that someone doing a static chi kung posture for any amount of time would not feel super strong chi flow in the hands. I too dislike using the word Qi, I much prefer Chi but that seems out of favor for reasons I do not know about. Based on my experience teaching about 2000 students, I disagree. I understand your experience, and I used to share your opinion, but I changed my mind. My teaching experience is what changed my mind. Teaching is what taught me that your conclusion doesn’t apply to the vast majority of people. Think of it this way. What if certain methods, taught by certain teachers, are somehow able to change the “energy bodies and nervous system of the individual”? I’ve taught students who said almost the exact same thing you said above. And yet I was able to help them feel qi in new ways. Granted, this was done in person, not online. So that may be a factor for stubborn cases. But even online, I’ve had people with 20 years of prior experience tell me that my method enabled them to feel qi like never before. Sifu Anthony, your way of looking at this makes total sense. And I believe your methods will work even online. 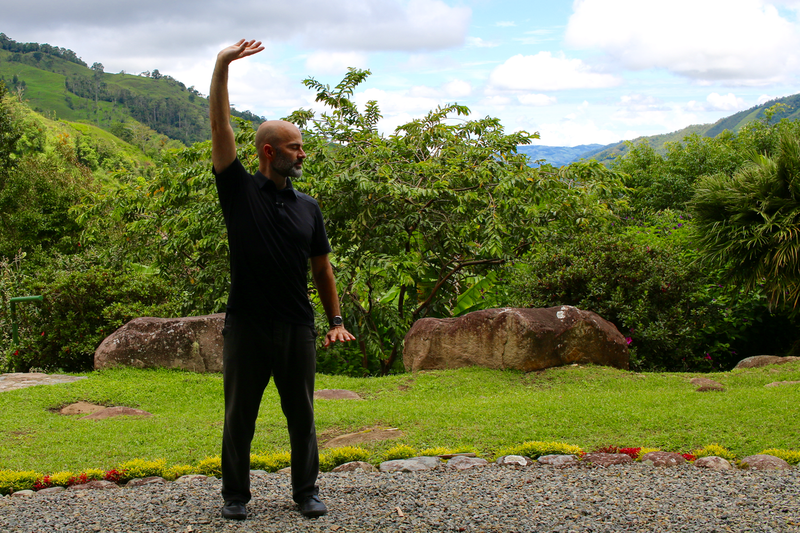 I say this because of my experience when a Yi Ren Qigong teacher was teaching me that method on Skype and he used qi transmission during the session and as a result I felt qi in my hands so strongly that it was beyond what I could have imagined. I look forward to taking your new course when it becomes available. All that you have shared with me makes sense. When you finalize the name for your new course please let me know so that I can have my medical clairvoyant test the method so that he can tell me pretty much what it would do for me even before I learn it. He is that gifted and more. Hi Dr. Kane. Yes, I think it’s safe to say that feeling qi in general is a prerequisite to feeling qi at dantian. On the other hand, I felt qi in my fingers, arms, baihui, and tian mu (the 3rd eye) for years before I felt it strongly at dantian. I guess I’m saying that feeling the qi is a prerequisite, but not a guarantee for feeling dantian. Does that make sense? Your reply to Dr. Kane Sifu Anthony just helped me realize that I have been feeling chi other than just in my hands for years. I have felt it in the space in between my arms and shirt sleeves, I also have felt in on the crown chakra, third eye, spiraling around the legs, shooting out of finger tips at times. I just had forgotten about those experiences since I have been hoping to feel it inside of my body like I suppose qigong master experience it flowing like a little streams thru their meridians. Can ki be used to perform superhuman feats?Can it improve agility,reaction speed,strength etc. What can I do for other with my Qi? I mean if someone in your family/friends/colleagues are suffering from any disease or pain I can do some relief for him/her using my Qi. Actually I am interested in Qigong for above purpose, so what can I do for achieving this goal?